The Conte Government arises like Lazarus, but it is getting started with the burden of a disquieting deterioration of the position of Italy in the European Union. 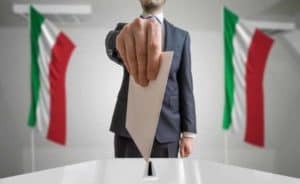 In recent years, Italy succeeded in reaching the front row in the battle to democratize EU structures and procedures and to substantially correct austerity policies. It hereby managed to achieve significant flexibility in investments and to reverse the recessionary cycle in its economy, the first effects of which we have begun to appreciate in recent months.This tenacious and intelligent action brought forward by the Renzi and Gentiloni Governments provided crucial support to the QE strategy which was simultaneously carried out with strength and foresight by Mario Draghi, and allowed Italy to begin reducing the burden of public debt and enjoying low interest rates on the capital markets. Of course, much remained to be done, but we managed to establish the preconditions for instituting a European Finance Minister and for implementing coordinated economic policies, coordinated policies to manage the post-Brexit phase and coordinated migration policies. It was this precious asset of Italy’s political credibility that the ineffable partners of the new Government managed to squander in the space of a few weeks of endless tactics and irresponsible slogans, during which the spotlight of international public opinion focused on the more or less latent proposals calling into question the permanence of Italy in the euro zone. The unprecedented standoff in the candidacy of Prof. Paolo Savona, the spearhead of anti-eurozone economic thought, at the helm of the national economic and financial policy, portrayed the image of a country in disarray. A confused and unreliable country to the watchful eyes of international markets, which was immediately struck by the soaring of the infamous spread and the resulting pulverising of hundreds of billions of euros held by public funds and private savings. Our opinion on Conte Government’s political adventure, an expression of the inauspicious merging of two (opposite?) populisms, is clearly negative. 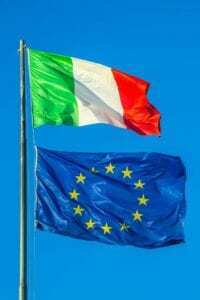 The agreement signed by Di Maio and Salvini has only heightened our concerns about the serious risks concerning the financial balances and our country’s international relations. Italy’s political axis strongly shifted to the right. The government portrays itself as a bit welfarist and a bit reactionary repressive. It’s on the path to endlessly expand the State deficit, to encourage social parasitism (17 billion euros for basic income) and to broaden social and territorial inequalities (70 billion euros for the flat tax). All of this while it openly expresses sympathy for reactionary and regressive regimes and for countries which openly oppose the European Union. A stronger progressive European voice is needed, because unfortunately we have already discovered that part of the leadership of the EU’s moderate parties remains the best ally of our local populists. Di Maio and Salvini have become the protagonists of a political experiment with troubling and disturbing characteristics. We will fight the adventurist choices of this government without hesitation, but we will not let Italy go to pieces, following the flawed logic of “the worse the better”, as it does not fit our democratic ethos nor our true patriotism to profit from the misfortunes of the Italian citizens. 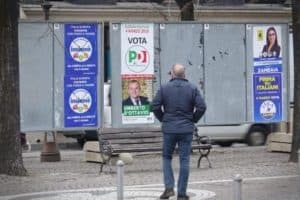 Italy cannot remain imprisoned by the populist demagoguery of those who aim to pursue a permanent election campaign and to drive the country into the unknown. We will continue to fight with conviction and vigour to reinforce the Italian presence in Europe and at the same time to further democratize the Union’s governance, to build an anti-austerity European coalition and to breathe life into a reformist and European progressive culture. A stronger progressive European voice is needed, because unfortunately we have already discovered that part of the leadership of the EU’s moderate parties remains the best ally of our local populists.